Every girl can use a comfortable go-to necklace that will go with everything and will give just a hint of shine. Wear it alone or layer it with other necklaces. Total length of the long sterling silver drop is approximately 1/2 inch long. Smaller drop is made of natural bronze. 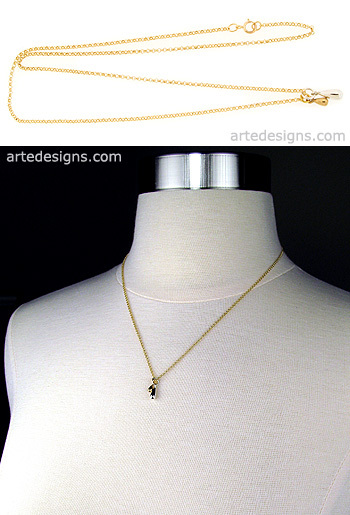 18 inch gold filled chain with a spring ring clasp. Handmade natural bronze necklaces, gold necklaces, lariats, and rose gold necklaces that can be worn alone or layered with other necklaces. These necklaces are versatile and will never go out of style.